The earth is continuously bombarded by high-energy particles generated in explosive events throughout the cosmos. These particles then interact with atoms in the atmosphere creating a stream of particles reaching the earth’s surface called cosmic rays. 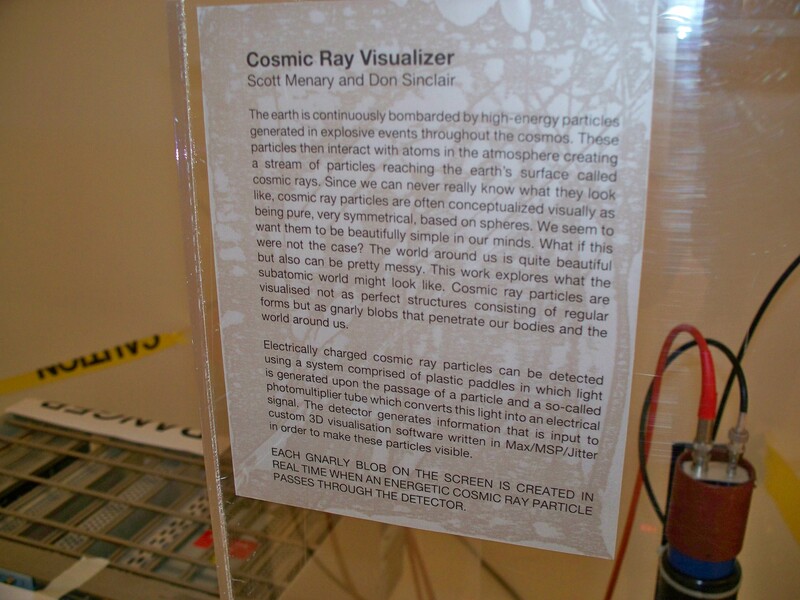 Since we can never really know what they look like, cosmic ray particles are often conceptualized visually as being pure, very symmetrical, based on spheres. We seem to want them to be beautifully simple in our minds. What if this were not the case? The world around us is quite beautiful but also can be pretty messy. 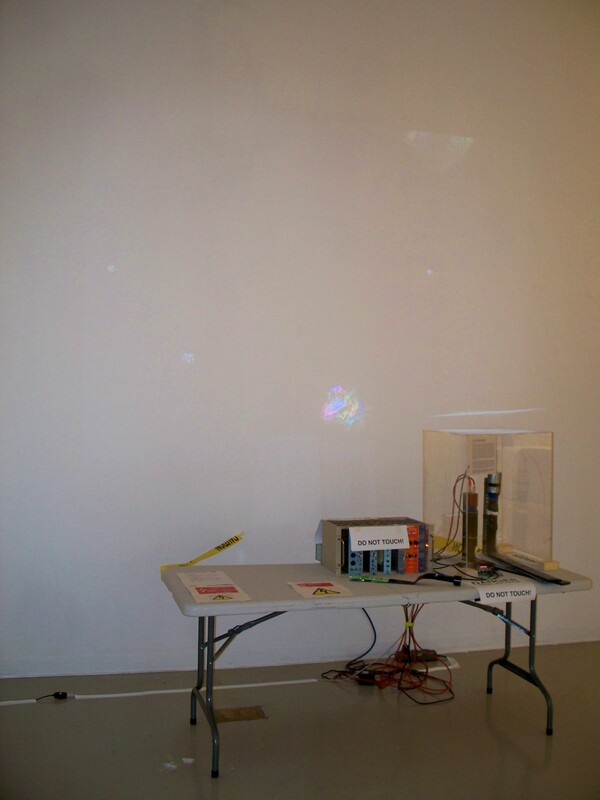 This work explores what the subatomic world might look like. Cosmic ray particles are visualised not as perfect structures consisting of regular forms but as gnarly blobs that penetrate our bodies and the world around us. 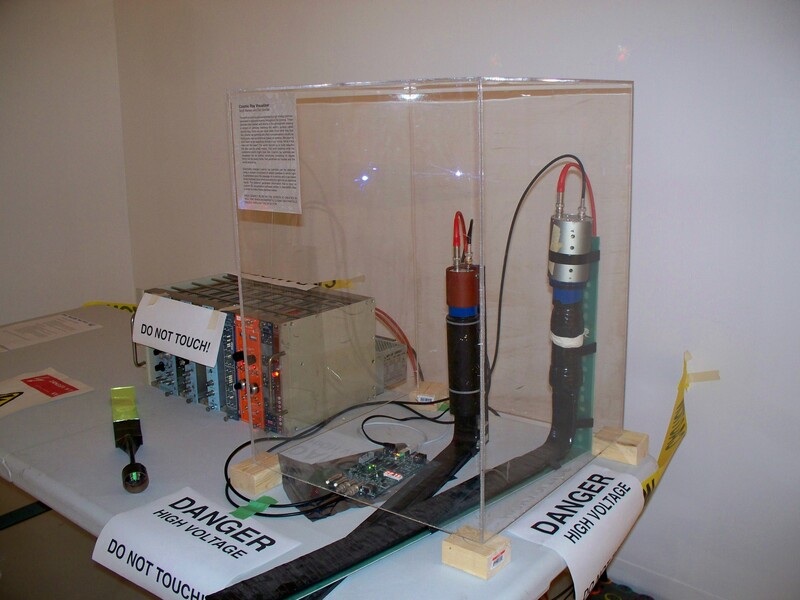 Electrically charged cosmic ray particles can be detected using a system comprised of plastic paddles in which light is generated upon the passage of a particle and a so-called photomultiplier tube which converts this light into an electrical signal. 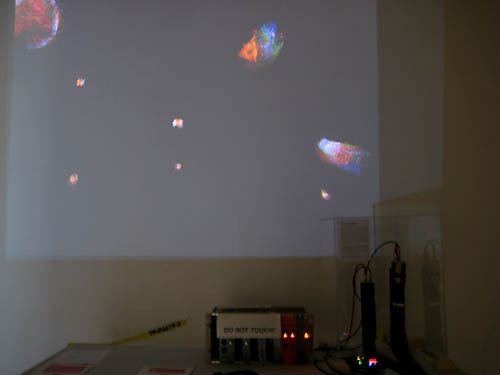 The detector generates information that is input to custom 3D visualisation software written in Max/MSP/Jitter in order to make these particles visible. EACH GNARLY BLOB ON THE SCREEN IS CREATED IN REAL TIME WHEN AN ENERGETIC COSMIC RAY PARTICLE PASSES THROUGH THE DETECTOR. Artists and scientists are increasingly seeking each other out to share ideas and seed mutual inspiration. 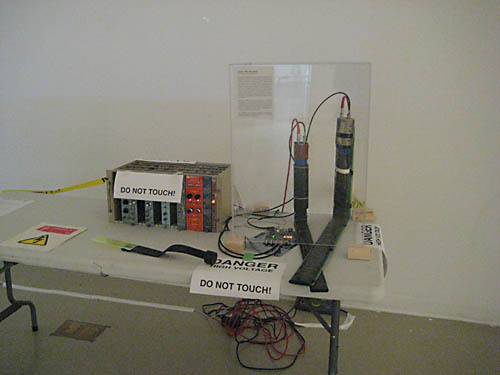 The U50 Art Meets Science Series hosted a series of events throughout 2009 to spark new kinds of art-science convergences, conversations and interdisciplinary alliances at York University, and for the wider Toronto community. Art Meets Science Ning: join us in the social network! The Journal of Neuro-aesthetic Theory: art and brain science! Good reading.